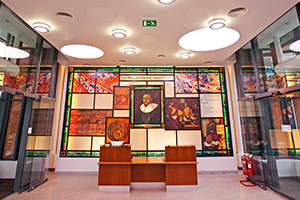 The Medical College of Saint Bartholomew’s Trust funds a variety of projects to help further medical and dental education and research at Barts and The London School of Medicine and Dentistry, Queen Mary University of London. William Harvey Research Institute, dedicated to tackling the growing burden of heart disease and stroke worldwide, was opened in 2011. It is based at Queen Mary’s Charterhouse Square campus. The Trust (and the Barts Foundation for Research, with which the Trust merged in 2008) made a very significant contribution, funding the fit-out of the lower ground floor laboratories and plant at the Centre. The Trust also continues to make available grant funding for the Chair in Vascular Inflammation at the Institute, currently held by Professor Federica Marelli-Berg. Find out more about the William Harvey Research Institute. 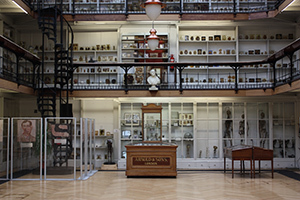 The Barts Pathology Museum at Saint Bartholomew's Hospital houses over 5,000 medical specimens. Built in 1879, it spans three mezzanine levels and includes pathological specimens relating to all areas of anatomy and physiology, including the skull of John Bellingham, the only person to assassinate a British Prime Minister. Over 2011 and 2012, the Trust funded the post of conservator technician at the Museum. In 2014 the Trust provided funding for a Human Tissue licence for the Museum. Find out more about the Pathology Museum.